It's like an Amiibo battle game. By the way, so now Pokemon Company is making smartphone games, does that mean there will be fewer 3DS/Switch games in future? That's right -- there's another mobile Pokémon game in town. Pokémon Go has a new friend on mobile today: Pokémon Duel is available now, for free, on Android and iOS devices, courtesy of The Pokémon Company International. Pokémon Duel is a strategy title that plays more like a board game than a traditional Pokémon experience. Players build a party of six Pokémon and move them across a playing field dotted with spaces where the creatures can attack, flank or block their opponents' adorable armies. The first player to reach the enemy's goal wins. The Pokémon are designed like amiibo figurines, rather than animated pets, and players are still able to collect 'em all. Each character has unique abilities and a set number of steps it can take per turn. When a Pokémon lands on a space next to an enemy, the duel begins: Spin the Data Disk to determine which attacks your character will use. Plus, use a special plate at the beginning of each turn to power up your Pokémon in different ways. 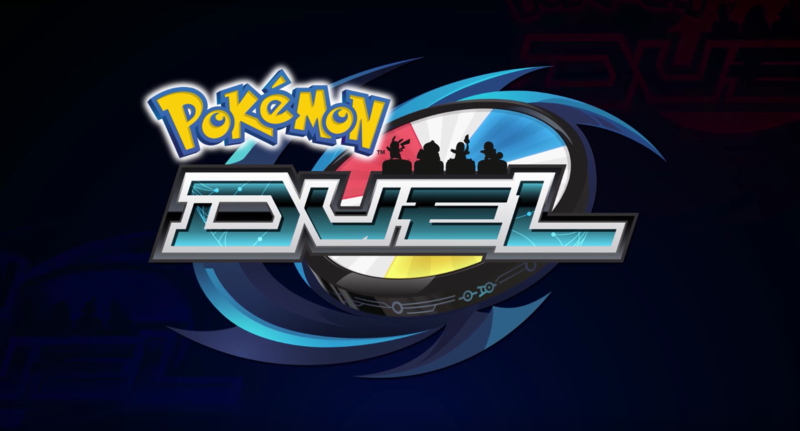 Pokémon Duel can be played against real people in the online League Match mode or solo against the game's AI. The more you play, the more powerful Pokémon you'll encounter. Plus, there's a crafting mechanic that allows players to level up their creatures and improve their Data Disks as the game rolls on. Pokémon Duel is free, but it includes some in-app purchase options. You can buy Time Boosters that grant you Pokémon and plates, or purchase specific plates directly. It's also possible to use Gems to open Boosters and purchase items from the game's shop -- earn Gems each day you play Pokémon Duel or by completing daily missions. Of course, you can always buy Gems outright.